As I look at the calendar and see some important dates are quickly approaching, I thought I better put together a quick blog post to highlight some of the events that I will be speaking at in early March. I will be using the same content at all events but am happy to talk offline about anything that you have seen in this blog or my presentation from Norway this past September. In this session Kent will take a real world business scenario from the Power Generation industry. The scenario involves real time data collection, power generation commitments made to market stakeholders and current energy prices. A Power Generation company needs to monitor all of these data points to ensure it is maintaining its commitments to the marketplace. When things do not go as planned, there are often significant penalties at stake. Having real time visibility into these business measures and being notified when the business becomes non-compliant becomes extremely important. Learn how Windows Azure and many of its building blocks (Azure Service Bus, Azure Mobile Services) and BizTalk Server 2013 can address these requirements and provide Operations people with real time visibility into the state of their business processes. 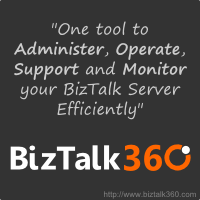 The first stop on the tour is London where I will be speaking at BizTalk360’s BizTalk Summit 2014. 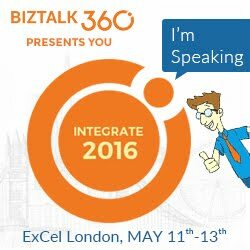 This is a 2 day paid conference event which has allowed BizTalk360 to bring in experts from all over the world to speak at this event. This includes speakers from Canada (me), my neighbor, the United States, Italy, Norway, Portugal, Belgium, the Netherlands and India. These experts include many Integration MVPs and the product group from Microsoft. There are still a few tickets available for this event so I would encourage you to act quickly to avoid being disappointed. This will easily be the biggest Microsoft Integration event in Europe this year with a lot of new content. After the London event, Steef-Jan Wiggers and I will be jumping on a plane and will head to Stockhom to visit our good friend Johan Hedberg and the Swedish BizTalk Usergroup. This will be my third time speaking in Stockholm and 4th time speaking in Scandinavia. I really enjoy speaking in Stockholm and am very much looking forward to returning to Sweden. I just really hope that they don’t win the Gold Medal in Men’s Hockey at the Olympics otherwise I won’t hear the end of it. I am also not aware of any Triathlons going on in Sweden at this time so I should be safe from participating in any adventure sports. At this point an EventBrite is not available but watch the BizTalk Usergroup Sweden site or my twitter handle (@wearsy) for more details. The 3rd and last stop on the tour is the Netherlands where I will be speaking at the Dutch BizTalk User Group. Steef-Jan Wiggers will also be speaking as will René Brauwers. This will be my second trip to the Netherlands but my first time speaking here. I am very much looking forward to coming back to the region to talk about integration with the community and sample Dutch Pancakes, Stroopwafels and perhaps a Heineken (or two). The eventbrite is available here and there is no cost for this event.